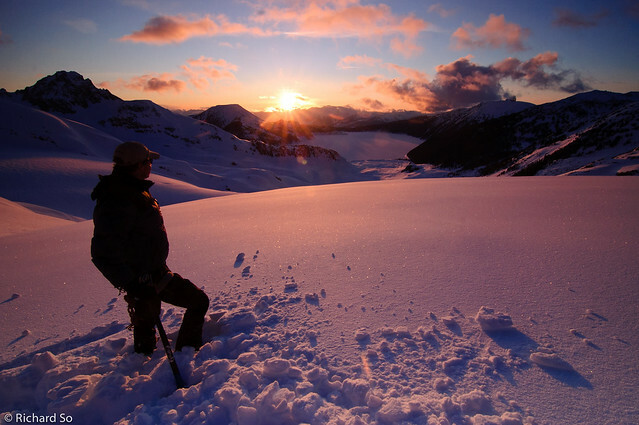 Greg and I spent three days exploring glaciers and peaks around the Sphinx Bay area, in Garibaldi Provincial Park. We left Vancouver somewhat late on the first day, headed up across Garibaldi Lake and camped halfway up the Bookworm Corridor. 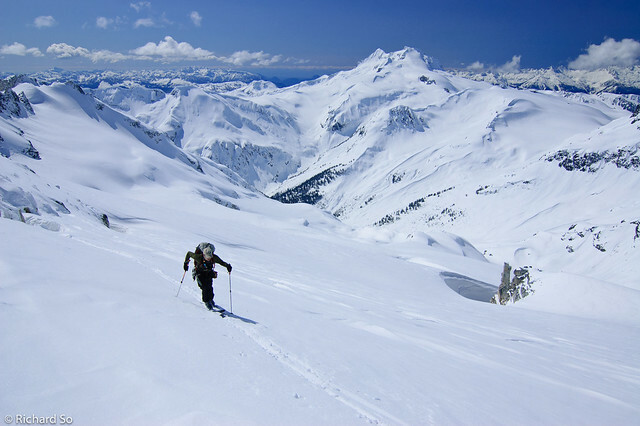 The next day, we climbed Mount Carr, skied down the southeast face into Gray Pass, and climbed Parapet Peak and descended the north ridge and climbed up and over past the Bookworms and down to the hut. 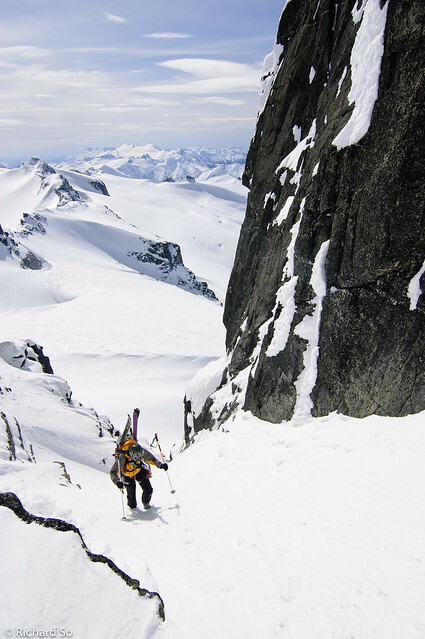 On the last day, we climbed the south couloir of Castle Tower, and skied the northwest face between the west and central summit before returning through Polemonium Ridge and back out across Garibaldi Lake. It's amazing to have this all in our backyard. 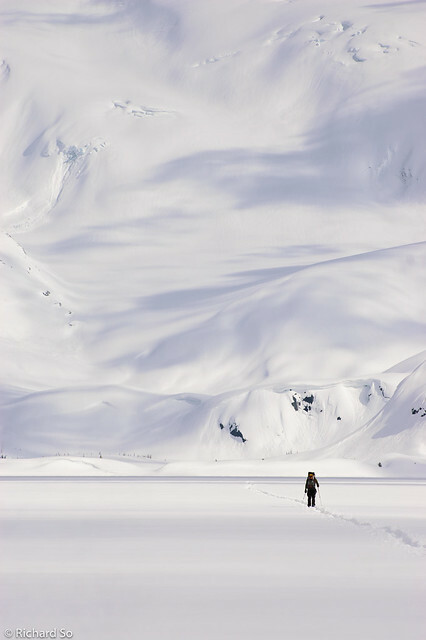 Skiing across the frozen Garibaldi Lake. 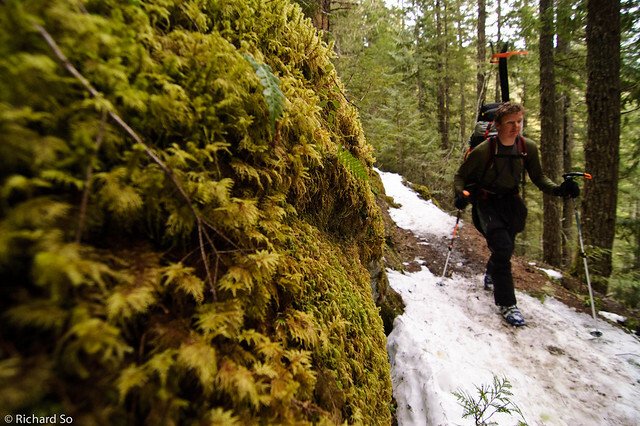 It's a long journey in, but the efforts are well rewarded with long glaciated runs and incredible scenery. 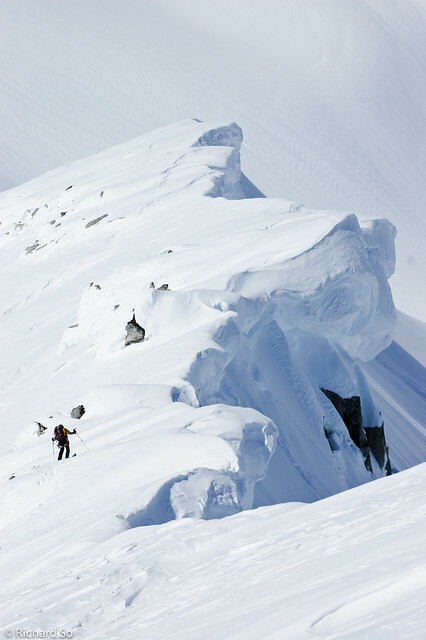 We skied past the Burton Hut located in Sphinx Bay, and continued climbing higher on the Sphinx Glacier. The sunset from our campsite was spectacular. I don't recommend camping in this particular spot though, we seemed to have picked the windiest spot in the entire basin. 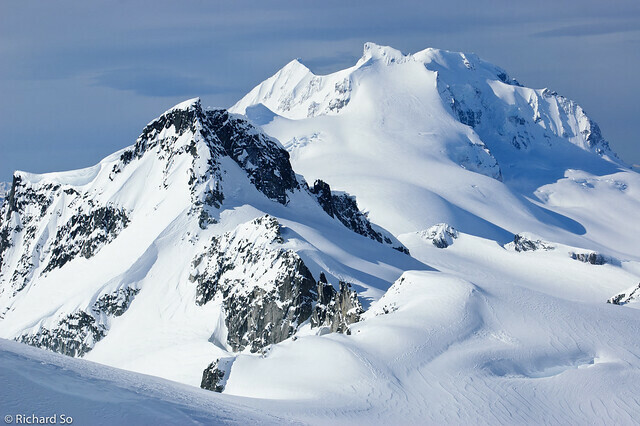 North Face of Isosceles Peak. 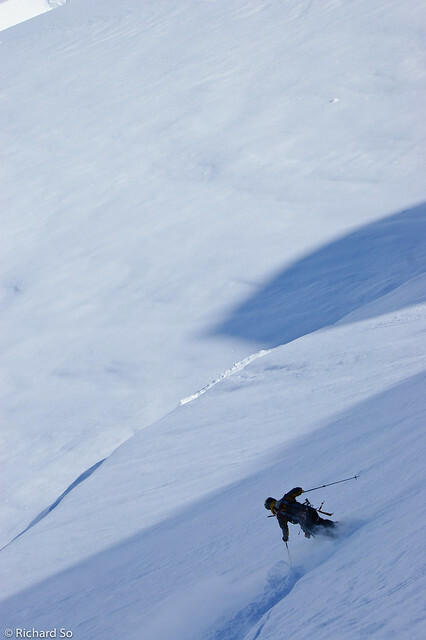 We skied down the right side of the face and down the ridge line. 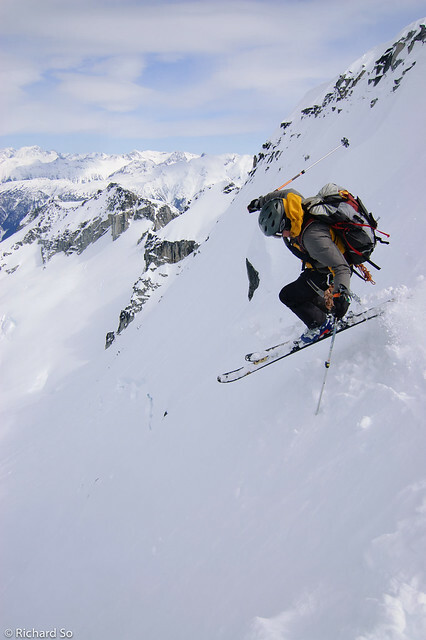 Greg skiing up the west side of Parapet Peak, with unlimited views of the peaks at the headwaters of the Pitt River. Glaciers, icefall, seracs, and shadows. 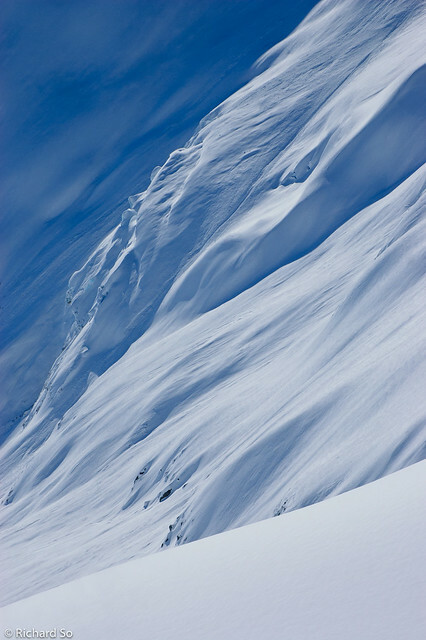 Massive cornices on Parapet Peak. 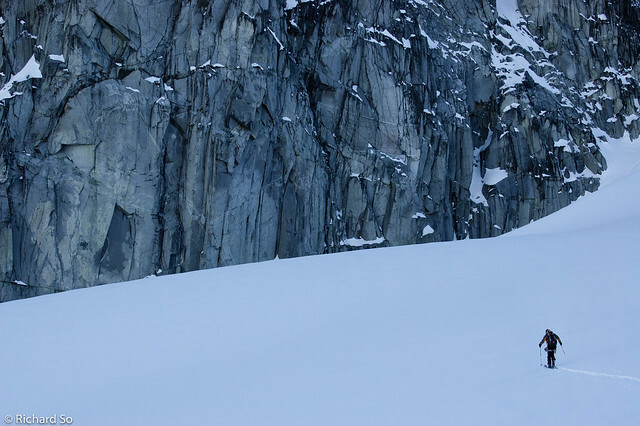 We found a gap between two cornices, which resembled a half pipe allowing us an easy entrance into the north face. 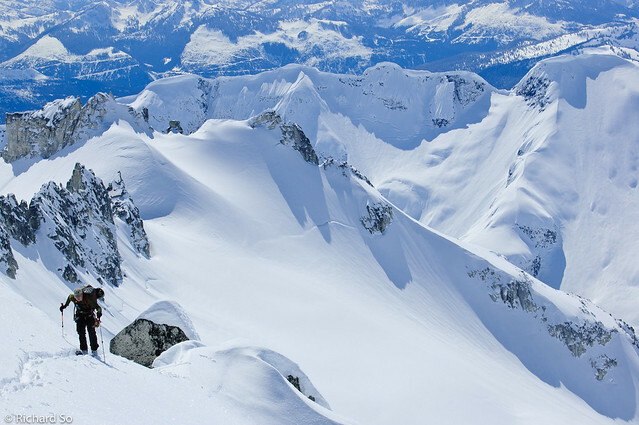 Dry, deep powder on the north face of Parapet Peak. A complete descent of the north face from the summit down into Isosceles Creek will have to wait for another time. We climbed back up from Gray Pass over to the Bookworms, and made the long sunny descent back down to Sphinx Bay. 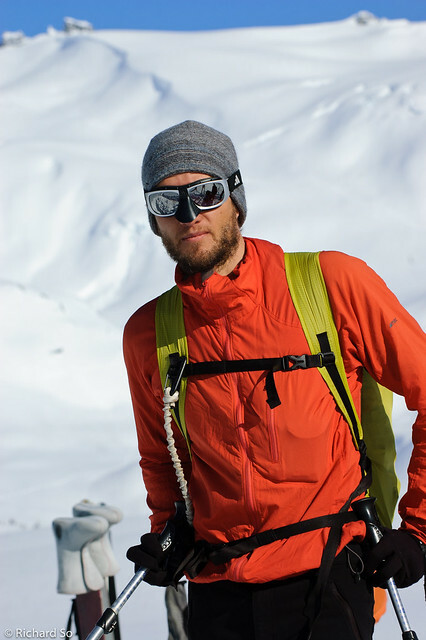 Nick Elson, who was out getting some fresh air and exercise in the mountains. 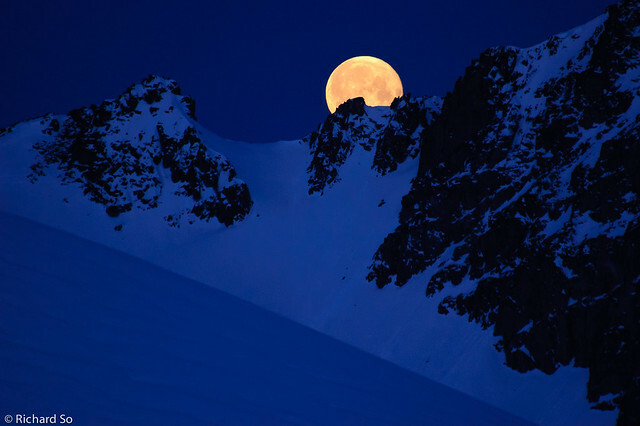 He spent 11.5 hours climbing Mount Carr, Davidson, and the East Summit of Castle Towers car to car. He still looks fresh in this photo. Colourful people camping at Sphinx Bay. 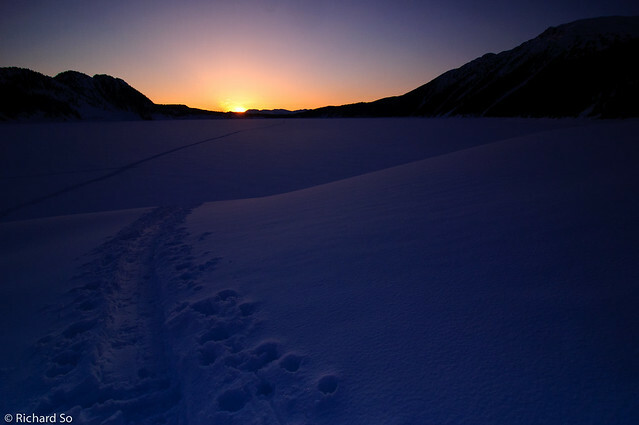 Sunset and snow at the eastern edge of Garibaldi Lake. 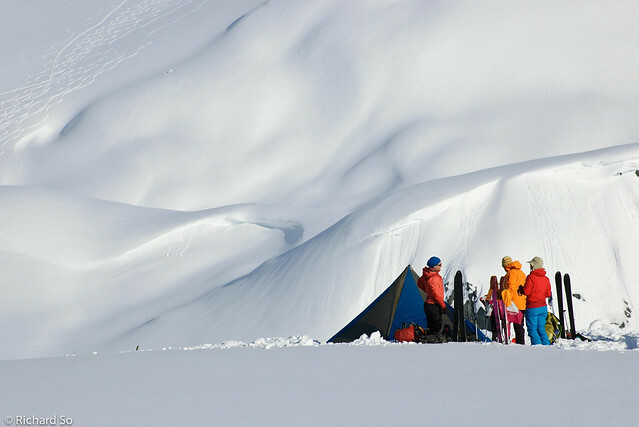 A cold morning on the Sphinx Glacier. 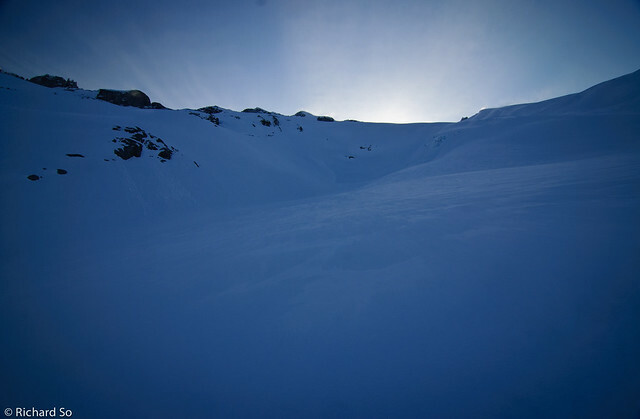 We woke up at sunrise again on the third day to ski Castle Towers. Greg ascending the Sphinx Glacier against a bitter drainage wind. 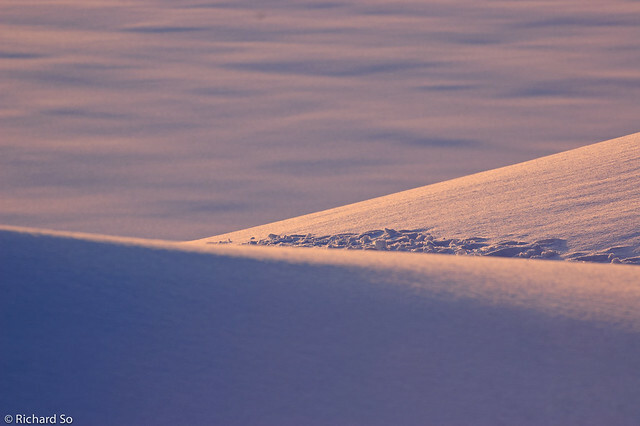 The wind was gusting regularly and billowing snow over our skis. Castle Towers Mountain. 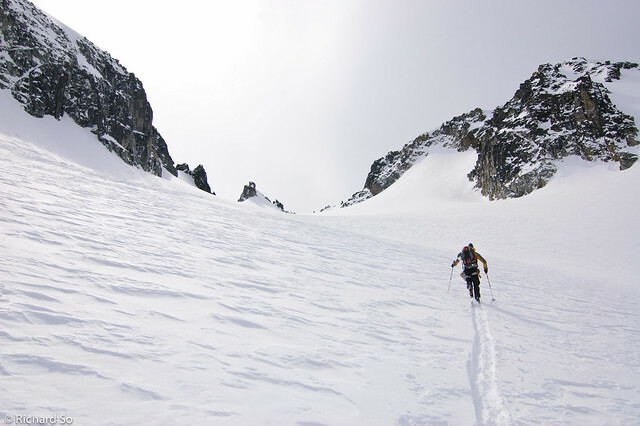 We climbed up the left hand couloir and skied off the northwest face on the other side. 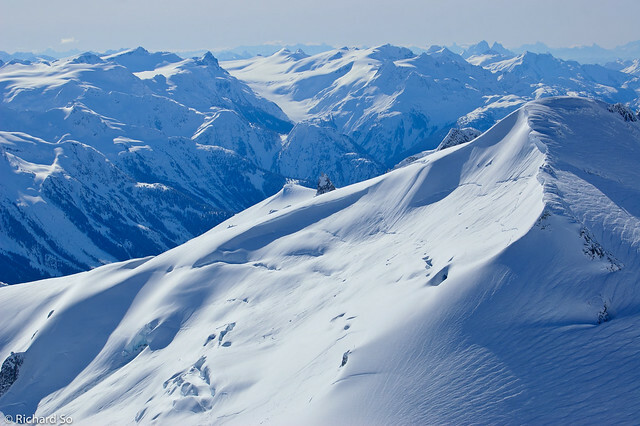 The right summit (East Summit) is suppose to be a straightforward ascent from the Cheakamus Glacier. 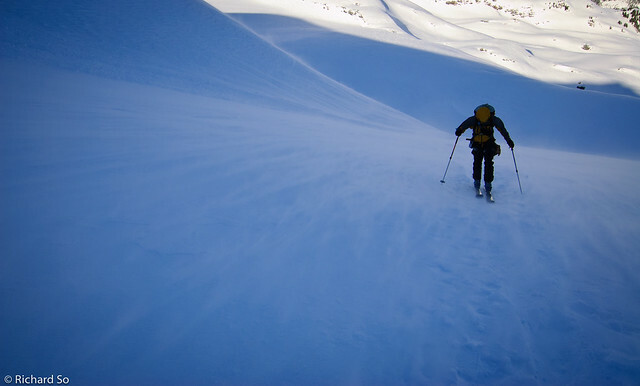 However, the central summit is more challenging. We skipped the summits this time. 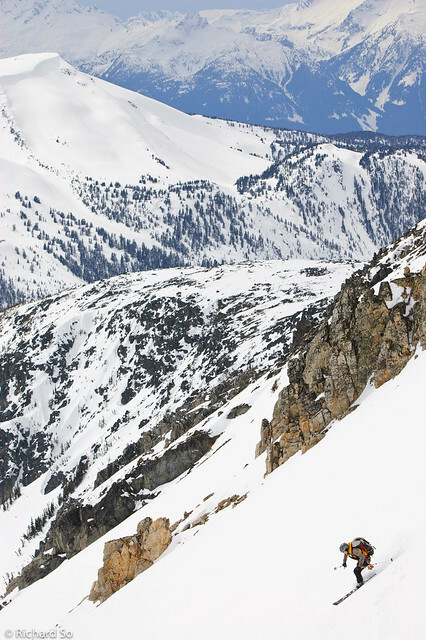 Greg climbing up the south couloir. Greg launching into the northwest face of Castle Tower. 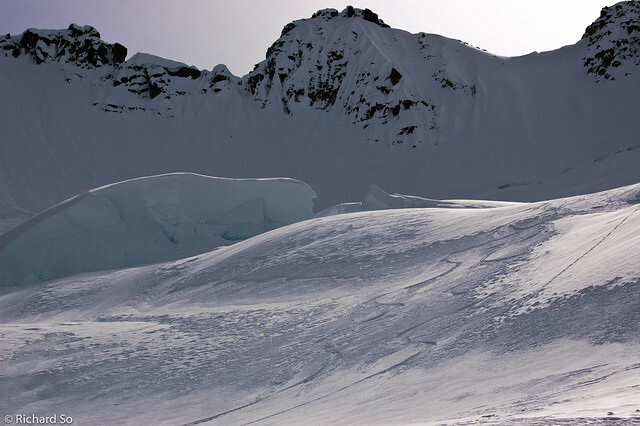 A few steep sustained turns on the headwall lead down into the gnarly Castle Tower Glacier. Fun! 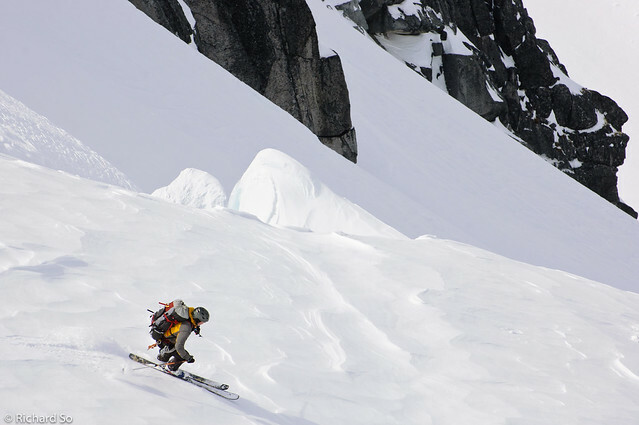 Glacier cruising alongside seracs on the Castle Tower glacier. 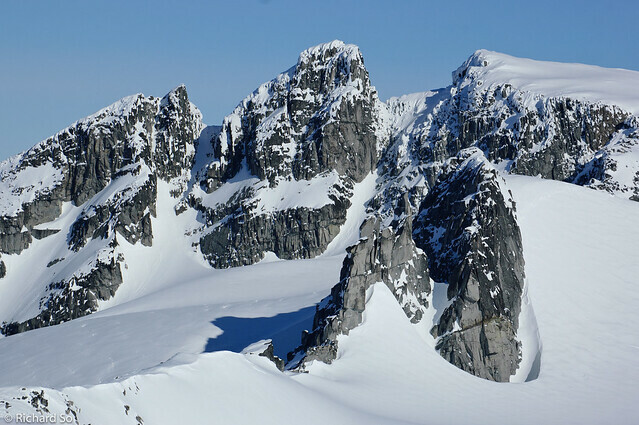 The northwest face of Castle Towers Mountain. 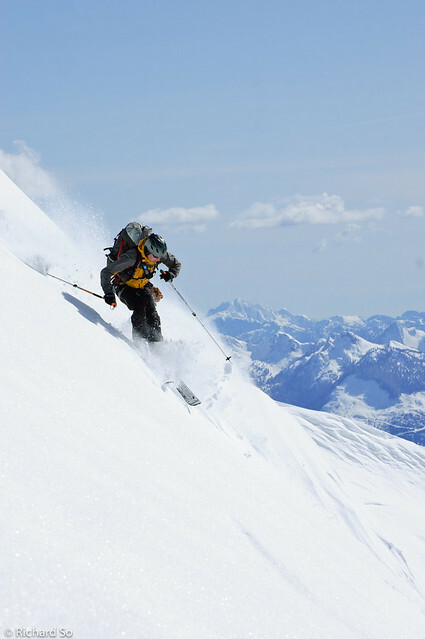 We skied the righthand face between the west and central summit. It's not as steep as it looks. South facing corn below Polemonium Ridge. 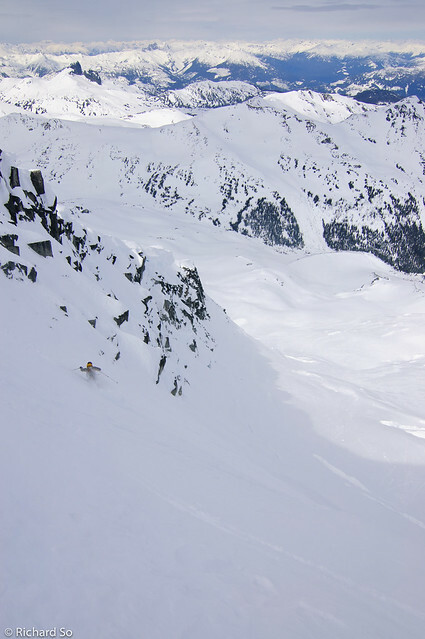 These were some of my favourite turns of the trip. Spring time in the Coast Mountains.